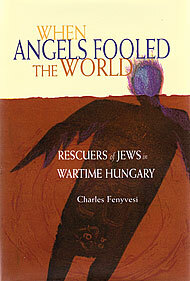 When Angels Fooled The World, Rescuers of Jews in Wartime Hungary by Charles Fenyvesi, 2003, published by University of Wisconsin Press. Cover art titled "Fire Storm" is by Susan Due Pearcy. The visual arts, with their paintings and sculpture and other attention commanding sights can seem to be more captivating than the "spoken and writen word" but HMAP seeks to give literary enthusiast members just recognition. To involve the greater area community in literary events, HMAP holds several reading events throughout the year, sometimes in conjunction with art exhibitions, and invites the participation of readers of poetry, novels, short stories and essays as well as other forms of writing such as articles and screen plays. Presenters may of course read from their own creations or they may interpret the works of the famous, infamous and not so famous writers of the past or present day. Some events also include performance art and musical presentations. Persons interested in creating literaturary works and those interested in being entertained by them are encouraged to join the monthly "get togethers" of the Artists and Writers Group and to attend the reading events. 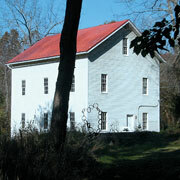 What better setting might one imagine than a rustic old mill in a woodsy park to enjoy poetry and stories. gyre, and climax again and again and again.